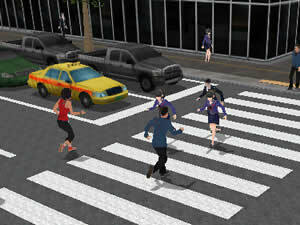 Control the traffic lights and protect all the pedestrians. The traffic jam... Well, you must know what does it mean. So, as you have already understood your task is to prevent it. Use mouse click to control, cause everything depends on you!